Disclosure: I was provided a complimentary pack of Kwik Stix in exchange for a honest review. Hi, friends! My family and I are so excited to be able to share with you about Kwik Stix. 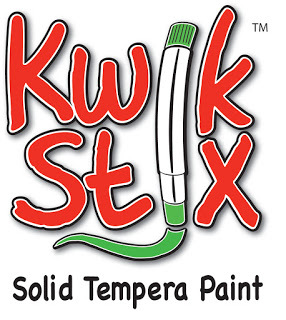 We have reviewed Kwik Stix in the past (check out our other posts here), and it is a product we use very much in our house. 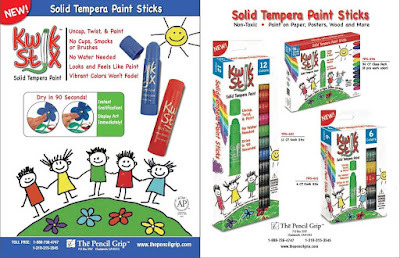 It is a solid tempera paint that dries within 90 seconds. It can be used on wood, canvas, cardboard, paper, and also poster paper. The best part is, there is no mess and no need for art smocks, water cups or brushes because of its unique design. Our life has changed quite a bit in the past year. We went from being a homeschool family, to having my boys go to public school last year. Kwik Stix is wonderful for helping them complete school projects and homework. I also became a preschool teacher this year, so I have brought this amazing product into my classroom and used them with two year old students! I can't tell you what a blessing it is not to have to worry about clean up with paint, with a two year old! I love the versatility of this product, and how it can be used with children (and adults!) of any age. I also love the vibrant colors the paint offers. This is a product that can be enjoyed by everyone. It is not only great for a classroom, but can be used in the home for arts and crafts projects, homeschool, child care center, preschool, Sunday School classes and more! It is a product that my family and I love very much, and we would highly recommend it. One winner will receive one assorted color Kwik Stix from The Pencil Grip, Inc.